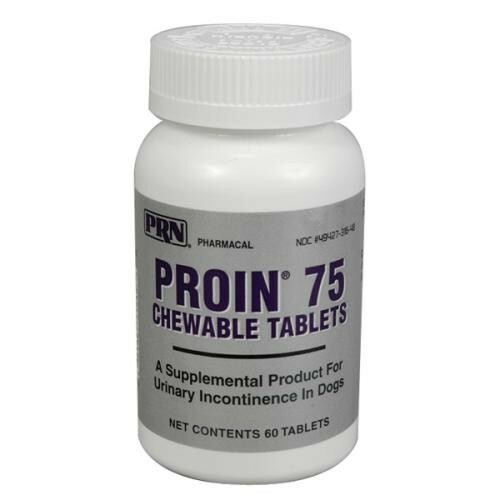 Proin is an aid in the management of urinary incontinence in dogs. This product is not available in the following states as it is considered a controlled substance. Arkansas, Georgia, Illinois, Iowa, Louisiana, Mississippi, Nevada, Oregon, South Carolina, South Dakota, West Virginia, and Wyoming.